WASHINGTON — The U.S. Army is pushing Congress to act on a looming sealift shortfall that will create “unacceptable risk in force projection” within the next five years if the Navy doesn’t act quickly, according to a document from the Army’s G-4 logistics shop obtained by Defense News. In response to a committee inquiry, the Army in February sent a warning to the House Armed Services Committee in an information paper noting the nation’s surge sealift capacity — which would be responsible for transporting up to 90 percent of Army and Marine Corps equipment in the event of a major war — would fall below its requirement by 2024. 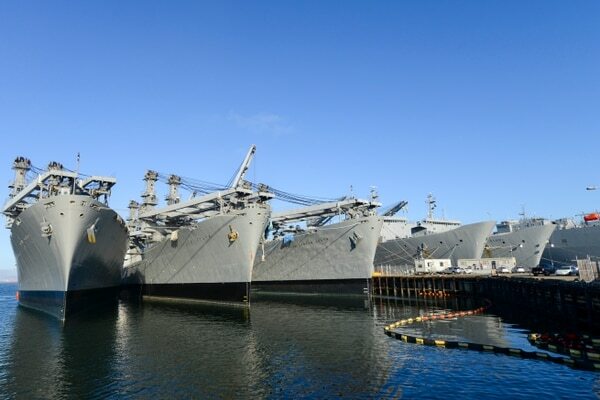 “Without proactive recapitalization of the Organic Surge Sealift Fleet, the Army will face unacceptable risk in force projection capability beginning in 2024,” the document said, adding that the advanced age of the current fleet adds further risk to the equation. The Army’s G-4 also alluded to Defense Secretary Jim Mattis’ readiness push, adding that even the most prepared forces wouldn’t matter if they can’t reach the front line. The document reflects the Army’s growing impatience with the Navy’s efforts to recapitalize its surge sealift ships, which are composed of a series of roll-on/roll-off ships and other special-purpose vessels operated by Military Sealift Command and the Maritime Administration. And Capitol Hill shares the Army’s view, according to two HASC staffers, who spoke on condition of anonymity. The Navy, which is responsible for recapitalizing the surge sealift force, put forward a budget in 2019 that called for about $242 million over the next five years, the bulk of which would go toward designing and developing a new platform that will replace the current vessels. HASC lawmakers considered that amount of funding not enough to make any serious inroads on recapitalization, and certainly not enough to forestall the critical shortfall identified in the information paper, the staffers said. 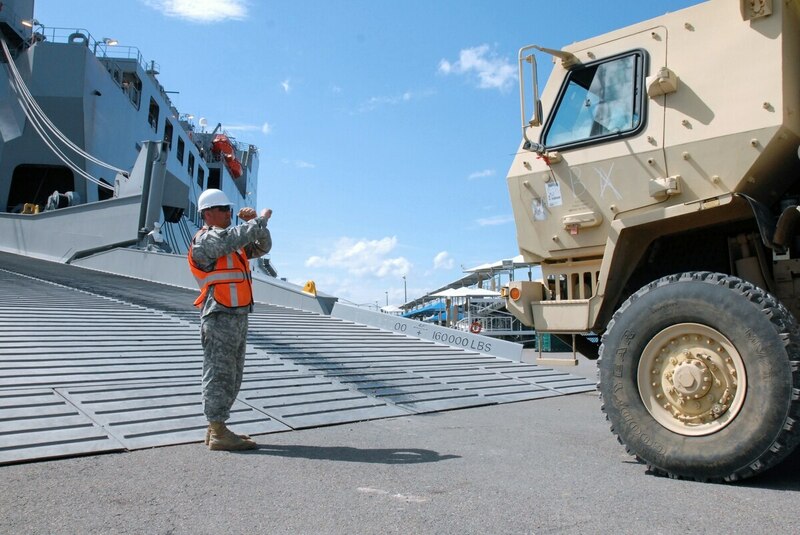 The Army’s warning dovetails with a Navy report from earlier in the year that detailed a full-blown crisis and collapse in the surge sealift capacity by the late 2020s if it does not move quickly to recapitalize. The sealift fleet is composed of 26 Military Sealift Command pre-positioning ships, 46 ships in the Ready Reserve Force and 15 command-owned roll-on/roll-off surge force ships. Many of the roll-on/roll-off ships are steam-operated, and the obsolete equipment is causing significant personnel issues in the pool of qualified civilian mariners needed to operate them. To offset the coming crisis, the Navy and the Maritime Administration came up with a three-pronged approach, according to the service’s March report: buy used ships off the open market and retrofit them for Defense Department purposes; buy a new class of ship known as the Common Hull Auxiliary Multi-Mission Platform, or CHAMP, if the concept is practical; and perform service-life extensions on ships the Navy thinks could benefit from the servicing. The Navy is planning 31 service-life extensions across the Maritime Administration and Military Sealift Command surge fleet, according to the report. But that would mean those ships will be 60 years old when they decommission, a service life that comes with a whole basket of issues, the report said. The Government Accountability Office has documented increasing costs and decreasing availability among surge sealift ships. Congress and the Navy are, in fact, moving toward the plan to buy several used ships off the market and retrofit them for use by the Defense Department. Lawmakers also want the Navy to submit plans for the CHAMP, which will be at least 10 hulls. But now the Navy is reportedly raising questions about the feasibility of its own concept. "What we've figured out is that mission set is very broad," Capt. Scot Searles, strategic sealift and theater sealift program manager, said at a recent expeditionary warfare conference, Inside Defense reported. “The missions the Navy wants CHAMP to address include strategic sealift, aviation intermediate maintenance support, medical services, command and control, and submarine tending. We have some early returns from some of the investigations we’ve done so far that [say] a single hull doesn’t make sense, and so we want to make sure we’re investigating and not trying to predisposition the answer," Searles added. But if CHAMP isn’t the answer, the Navy must find a solution soon, according to the Army paper. To the land forces, it’s a matter of maintaining credibility as a deterrent force. “Power projection, and the ability to rapidly deploy, is the US military’s operational center of gravity and is arguably the most crucial military advantage of the United States,” the paper reads. “Strategic sealift is the Army’s primary means of power projection and 90% of the Army’s unit equipment moves by strategic sealift.